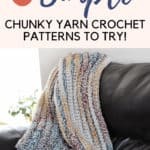 Make these chunky yarn free crochet patterns featuring Wool-Ease Thick & Quick from Lion Brand Yarn for a quick project! 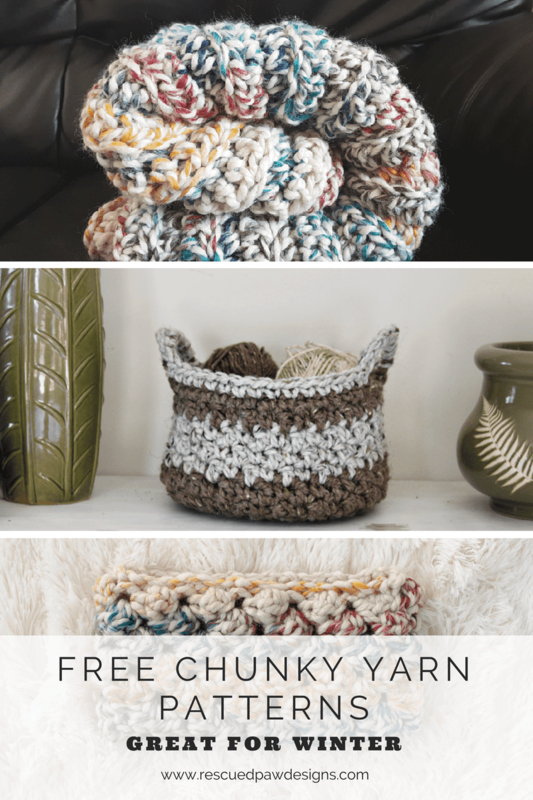 My favorite yarn for fall and winter is chunky yarn so I knew I had to put together a fun list of free crochet patterns using Wool-Ease Thick and Quick from Lion Brand my go to yarn! This wool is amazing to work with and I highly suggest you take a look to check it out if you haven’t done so yet! Click the images below to check out the yarn and all the colors available! 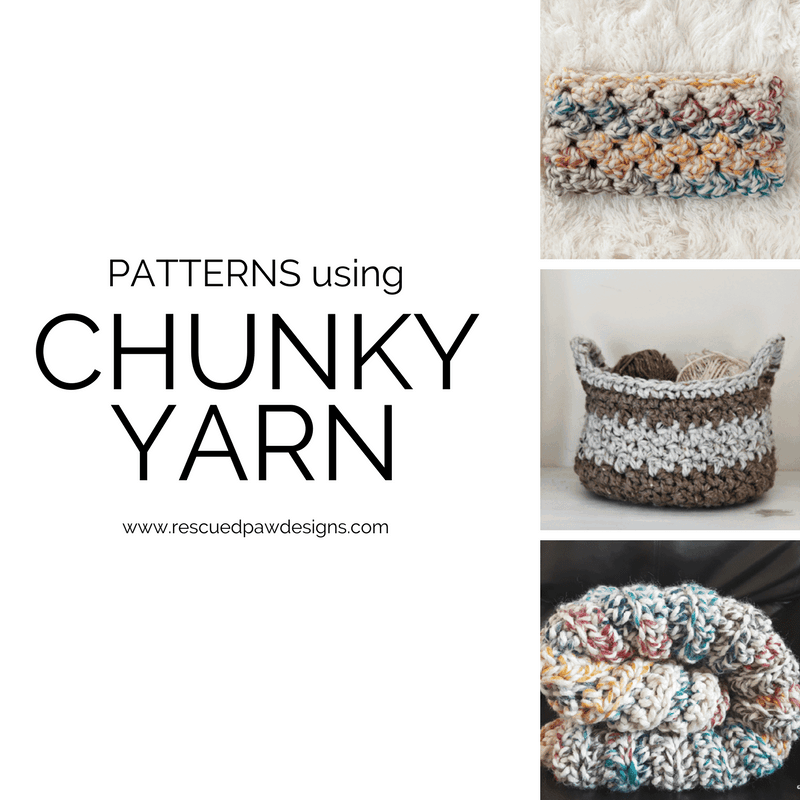 3 Must Have chunky Wool Ease patterns for Markets! wool-ease thick and quick crochet patterns that you should make today! I love making headbands for the winter months and Wool-Ease makes it super easy to whip up a few headbands in no time at all! 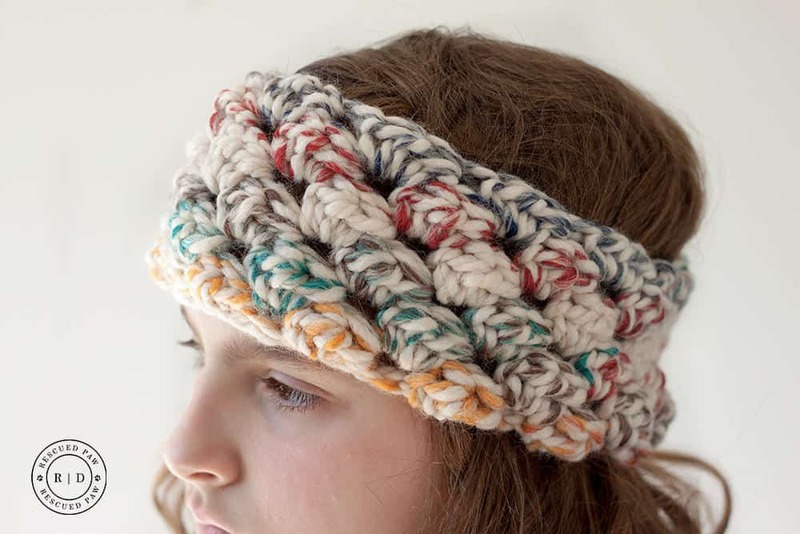 One of my favorites is the puffed headband using my favorite Color way in Hudson Bay! A few years ago I was running into storage problems with my ever growing supply of yarn so I designed this simple chunky basket using WET&Q to solve it! I use these to store my yarn in my living room. When I am working on project I have someplace quick to stash it until I can pick it up again. 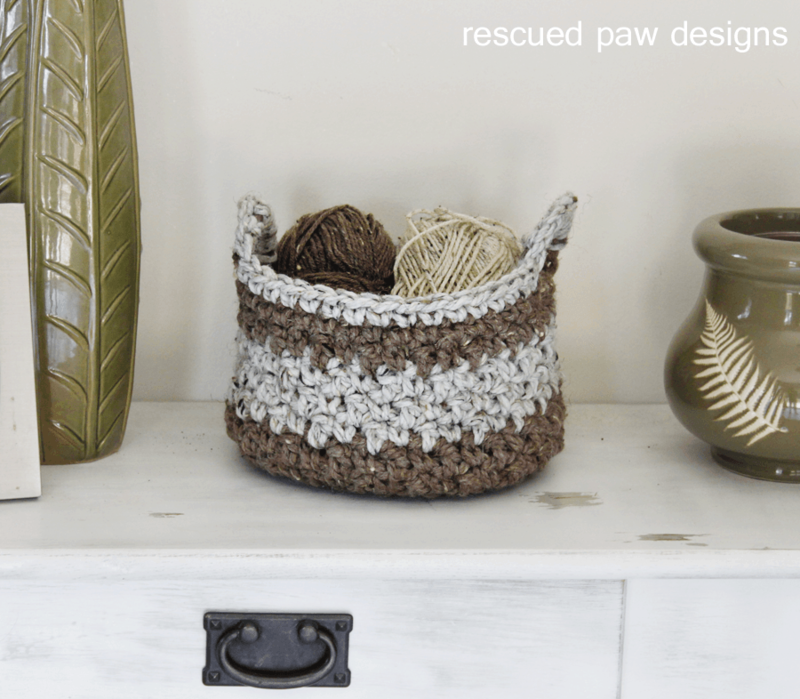 Find the free pattern for this chunky crochet basket. 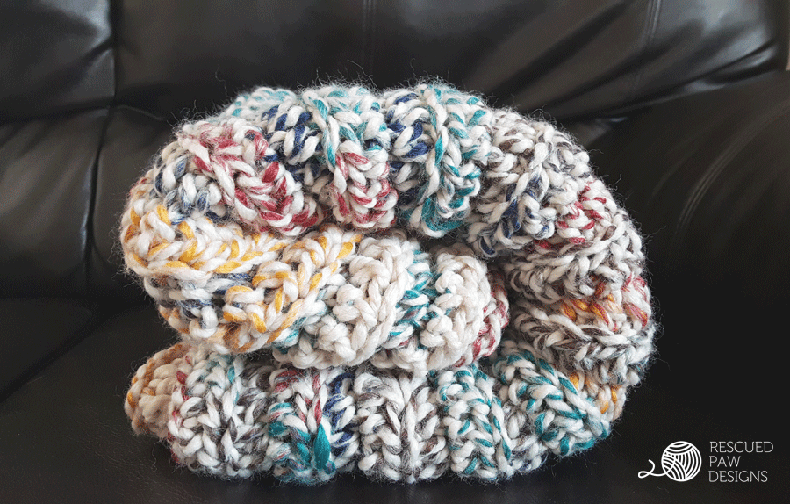 Last by not least is the Chunky Crochet Throw! This blanket design was definitely a labor of love. The countless days spent figuring out the yardage and making sure each size was correct was totally worth it! Ready to make one ? If you want to make this blanket then you can grab the free pattern in the link provided. 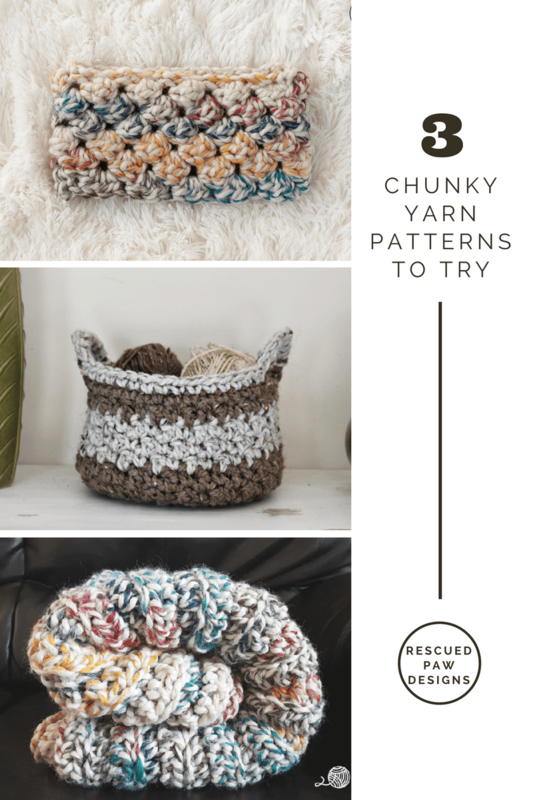 I hope you enjoyed this fun list of Chunky crochet patterns! Want to stay connected? Join me on Instagram @rescuedpawdesigns or over on Pinterest @rescuedpaw.